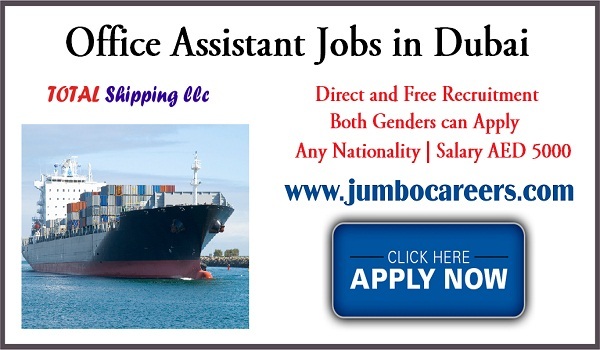 A leading shipping company based in Dubai requires experienced office assistants. About the Company : Total Shipping LLC is one of the fastest growing shipping and freight forwarding companies in Dubai, with a vision of becoming the leading logistics solution provider in UAE . The company has grown exponentially since the start of operations and has positioned itself as a major logistics solution provider in the Middle East region.